Coastal Shores Assisted Living provides excellent care in a lovely community with customized care to suit the needs of you or your loved one. Owners Mitch and Janet Rousseau opened Coastal Shores on the expanding Brunswick Landing site in 2015 after making the move from the former Skolfield House. 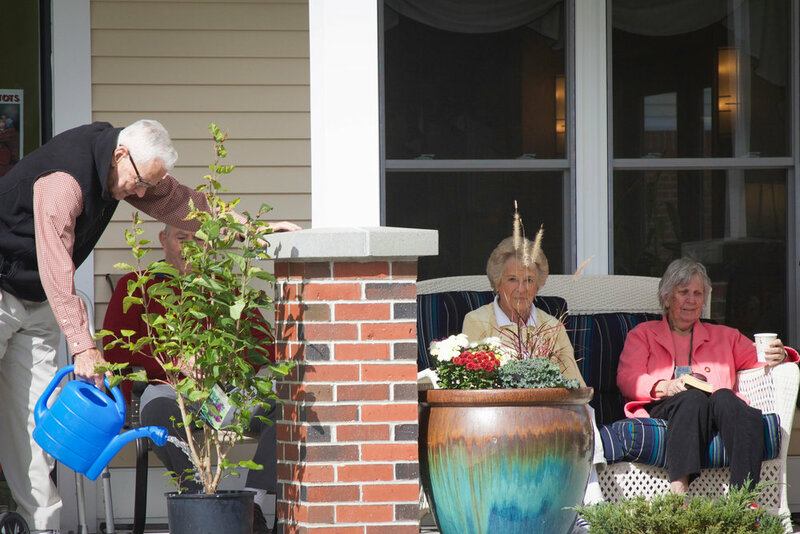 Given our new scenic, Midcoast surroundings and location, it seemed only natural to embrace our new community and change our name to Coastal Shores Assisted Living Community. We have all been so excited and pleased for all of our residents to enjoy the many choices and amenities that this beautiful space provides. It is our hope and vision that Coastal Shores Assisted Living Community provides the comforts of home that our residents will truly embrace and enjoy. Autumn colors at Coastal Shores. Tending the garden on the patio.